If I have a hammer toe, do I need surgery? 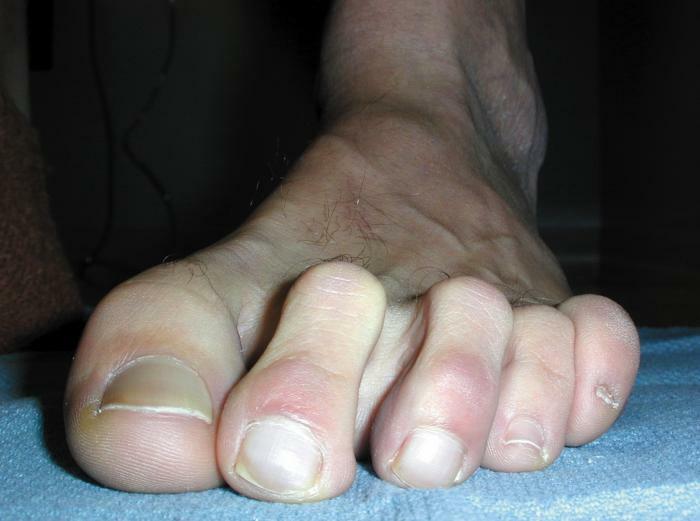 When patients come to the office complaining of a bent toe, it is most likely due to a hammer toe. It is called a hammer toe because it actually looks like the digit is "hammering" down into the ground due to the contractures at the joint. Sometimes it is flexible, and we can determine this during the examination when we "load" the toe in a certain way, it will straighten out. However sometimes it is considered "semi rigid" or "rigid" when we cannot straighten the toe out during examination. Many patients have hammer toes and it does not bother them one bit, however some come in with discomfort. Our doctors will take Xrays, discuss discuss the results, and will treat the patient conservatively and counsel them on wider shoes or how to use protective padding for the toe. However if the toe is contracted and is very painful, if there is a painful sore or corn due to rubbing of the shoe, or if there is an actual breakdown of skin, then surgery may be warranted. If it is determined that surgery is needed, then the doctor will look at the cause and the biomechanics behind the problem to determine which surgical procedure is needed. If you think you may have a hammer toe and want to have it examined, call our office for an appointment and we can discuss your condition 630-834-3668.